There has been a sea-change in the focus of organizations - whether private or public - away from a traditional product- or service-centricity towards customer-centricity and projects are just as much a part of that change. 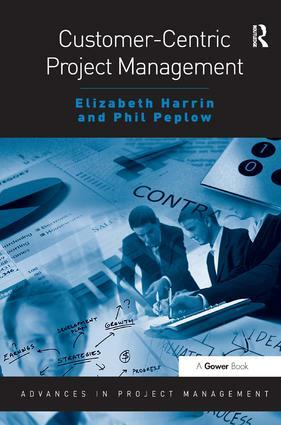 Projects must deliver value; projects must involve stakeholders, and Elizabeth Harrin and Phil Peplow demonstrate convincingly that stakeholders are the ones who get to decide what ’value’ actually means. Customer-Centric Project Management is a short guide explaining what customer-centricity means in terms of how you work and its importance for project performance; using tools and processes to guide customer-centric thinking will help you see the results of engagement and demonstrate how things can improve, even on difficult projects. The text provides a straightforward implementation guide to moving your own business to a customer-centric way of working, using a model called Exceed and provides some guidance for ensuring that customer-centricity is sustainable and supported in the organization. This is a practical, rigorous and well-researched text. It draws on established models and uses the example of project implementation in a healthcare environment to demonstrate the impact of this significant way of thinking about value. The authors can’t guarantee that the Exceed process will radically improve project success rates, and no process can. Adopting a customer-centric mindset and using the Exceed process to measure and monitor customer satisfaction will, however, help you move towards working with happier, more engaged stakeholders. Contents: Introduction; Introducing a customer-centric process; Why customers count; Why collaborative project management is not enough Measuring project performance; Customer centricity in practice; a case study; Customer centricity in a project environment; Refining your customer-centric approach; Implementing Exceed; Moving forward with customer-centric project management; Carry on the discussion; Appendices; References; Licensing; Index. Elizabeth Harrin has huge experience managing IT and business change projects. As Head of Applications and Programme Delivery for Spire Healthcare, she manages a multi-disciplinary team and a varied portfolio of projects.